36 Crazyfists are a metalcore/nu metal band from Anchorage, Alaska. Their sound is characterised by unique vocals and intelligent songwriting. They were originally signed by Roadrunner Records. In 2006 they signed to the DRT Entertainment label for American distribution of "Rest Inside The Flames", as Roadrunner US kept pushing the release date back. They remained on Roadrunner UK label, where they received good support in Europe. In July of 2007, the band signed to Ferret Records on a wordwide deal. They were originally signed by Roadrunner Records. In 2006 they signed to the DRT Entertainment label for American distribution of "Rest Inside The Flames", as Roadrunner US kept pushing the release date back. They remained on Roadrunner UK label, where they received good support in Europe. In July of 2007, the band signed to Ferret Records on a wordwide deal. The band formed in December 1994 in Anchorage, Alaska. Initally playing Rapcore, their major label debut Bitterness the Star took the band in their current Metalcore direction. 36CF consists of four members, Brock Lindow (vocals), Steve Holt (guitar), Brett Makowski (bass) and Thomas Noonan (drums). After the release of their debut album Bitterness the Star in 2002, they began to tour the US with bands including Candiria, God Forbid, Chimaira, Diecast, and Hotwire. After their US tour they went to Europe to begin the European Road Rage tour with Killswitch Engage and Five Pointe O. When this tour was over, the band took time off to write new material for their second album 'A Snow Capped Romance' which was released in 2004 and produced by James Wisner, who worked with Dashboard Confessional and Further Seems Forever. The Band's name comes from an old kung-fu movie featuring Jackie Chan. The title of the movie is called "Jackie Chan and the 36 Crazy Fists". 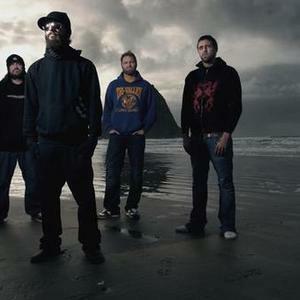 Their album 'Rest Inside The Flames' Includes Jonah Jenkins of miltown, and Howard Jones and Tom Gomes of Killswitch Engage. In 2008 the band released their first album on Ferret Music, The Tide and Its Takers. Only a few months later bass player Mick Whitney decided to leave the band to take care of his new-born daughter.